Saints Spyridon and Nicodemus, the Prosphora-bakers of the Kiev Caves, Near Caves fulfilled their obedience of baking prosphora for thirty years. 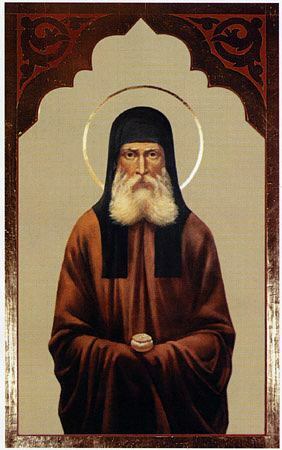 Saint Spyridon came to the monastery in the time of Igumen Pimen (1132-1141), when he was no longer a young man. The ascetic combined his work with unceasing prayer and the singing of Psalms. Even during his life Saint Spyridon was glorified by miracles. He was illiterate, but knew the entire Psalter by heart. Once, his mantle caught fire from the oven. The fire was put out, but the mantle remained whole. Saint Nicodemus toiled together with Saint Spyridon and led a very strict life. Their relics are in the Kiev Caves of Saint Anthony. The fingers of Saint Spyridon’s right hand are positioned to make the Sign of the Cross with three fingers. They are also commemorated on September 28, and the second Sunday of Great Lent.